The subsequent advance reached the 2007 high in the second quarter of 2016, yielding a more powerful breakout that attracted intense momentum buying interest. The stock more than tripled that year, rising to the top of the bull market’s leadership list. The rally continued into June 2017, dropping into a triangular correction that ejected to higher ground in September. Balanced price action then took control, carving a rising channel that eased into a shallow trajectory in January 2018 after the stock rallied within a few cents of $250. The rising channel that formed in May 2017 (blue lines) broke down in April 2018, giving control to the shallow channel (red line) in place since January 2018. This shift marks a maturation of the long-term uptrend rather than a bearish divergence that might signal a new downtrend. It also suggests that institutional capital has now replaced fast-fingered momentum traders in guiding this stock’s price action. The red channel indicates a downside target below $220, with the bearish stochastics cycle raising the odds that buyers’ efforts will fail before reaching that support level. The intersection between blue channel support and the 50-day exponential moving average (EMA) in the $230s looks like the best spot for bulls to make a stand and try to lift the price higher than resistance above $280. More likely, a bounce forming in that price zone will reverse at or near the broken highs at $250. On-balance volume (OBV) topped out in February 2018 and turned lower after the March reversal. It dipped to the lowest low of 2018 in April, while the uptick into May failed to reach the prior highs, generating a bearish divergence that predicted the reversal and failed breakout. Selling pressure since the downturn hasn’t set off additional signals or provided any short-term guidance. 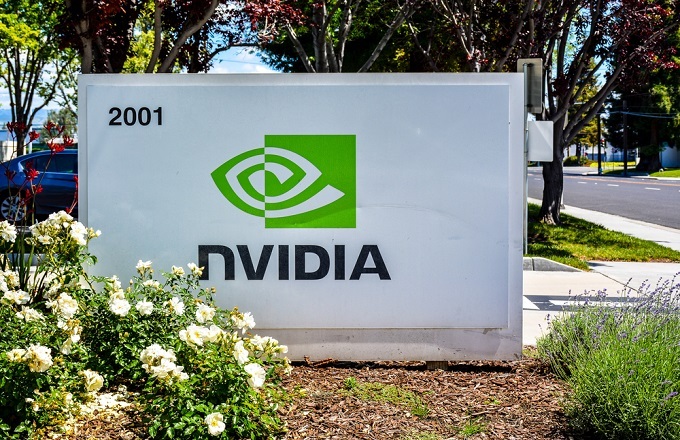 0 responses on "NVIDIA's Failed Breakout Could Signal Steeper Slide"